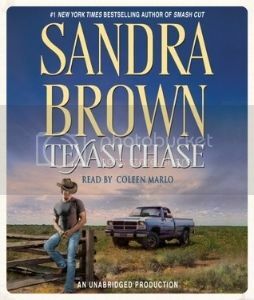 In the second book in #1 New York Times bestselling author Sandra Brown’s beloved Texas! trilogy, readers meet another son of the troubled Tyler clan—Chase Tyler, a man hardened by life and desperately trying to outrun the sorrows of his past. Chase Tyler has been the object of Marcie Johns’s desire since grade school. But when it came time to settle down, the handsome, laconic cowboy chose another woman to be his bride. Life was good for Chase—until things took an abrupt and tragic turn. Ravaged by grief, Chase has become a lost and embittered soul, a man without purpose, compassion, or hope. Then fate intercedes, reuniting Chase and Marcie, who was an unwitting player in Chase’s unfathomable family tragedy. Guilt weighs heavily on Marcie, but she’s also convinced that only the strength of her love can pull Chase back from the abyss. She’s willing to risk everything on a daring plan to rescue his business, save his life, and bring them together at last. What an emotional story. Brown had my heart in my throat throughout. Her character and scene development places you not only in this story, but in the centre of this family. Each event draws you further and further in. I appreciated how the prologue set the scene, giving you a glimpse into what had happened without dwelling on it. 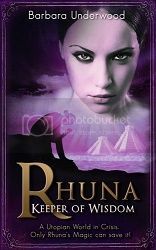 Brown’s eloquent descriptions meld with her fantastic storytelling to create a romance that will really make you believe. This is definitely a character driven tale. Every event is directly correlated to someone, and their reactions are what drive the story forward. His refusal to move forward combined with her refusal to give up leads them on a journey that kept me on my toes. The narrator really made this novel for me. As much as I enjoyed the story itself, it was really one of those ‘can’t put it down’ novels, the narrator’s intonation and snark made it unforgettable. As a whole this was a very enjoyable read. It can easily be read as a standalone or as part of the series. I wouldn’t hesitate to recommend it to others, nor can I wait to read the next in the series.